In just under a month I will be attending the NRPA Congress and Exposition in Anaheim, California. The National Recreation and Park Association puts on this show every year for commercial playground equipment. This is my first year attending the show and I'm excited to see what types of new equipment will be there. I never used to pay much attention to playgrounds and now I see them every where. While on my honeymoon I saw a bench that we supply on a different website on a small island in the Caribbean! Its amazing to notice small things like this now! The nice thing about our residential equipment is that it does not have the extremely strict safety standards that commercial equipment does. And it is much more affordable for your backyard! Just because the residential equipment does not have to meet as high of a safety standard doesn't mean that we don't stress safety. Our equipment is not only safe, but will last many years for your children. The Lookout Tower Play Set is a great option for your backyard! 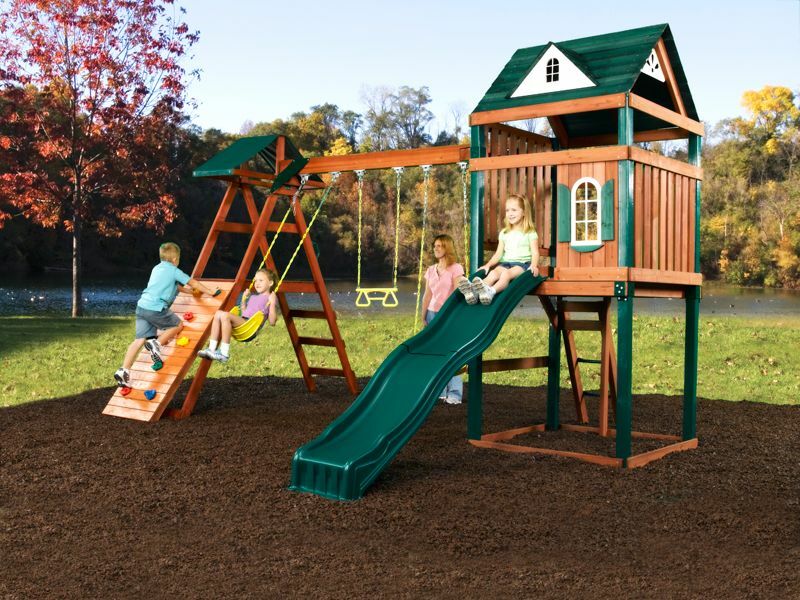 Featuring a climbing wall, a play house, swings, a rings trapeze combo, and a slide, your children will always have something to do!